In a recent issue of Science, Dr. Richard Unsworth from Swansea University and Dr. Leanne Cullen-Unsworth from Cardiff University state that seagrass conservation is crucial for climate mitigation, sustaining fisheries productivity and food security. 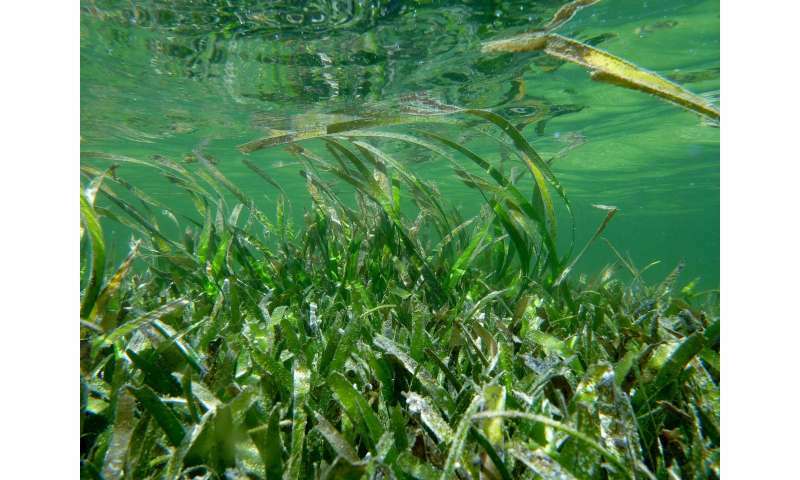 Seagrasses are marine flowering plants that are found along temperate and tropical coastlines around the world and provide habitat for species of fish as well as herbivores such as turtles. However, the distribution of seagrass makes it an easily exploitable fishing habitat and like many of the world's natural habitats, seagrass meadows are in decline with estimated global losses of -7% annually since 1990. They are also a potentially crucial component of efforts to prevent rapid uncontrolled climate change, due to their ability to store carbon in their sediments. But it is their support of biodiversity which also makes the protection of seagrasses an even greater priority. The floral diversity in seagrass meadows is relatively low, but the three-dimensional structure of their shoots, roots, and rhizomes attracts a high abundance and diversity of other organisms (such as juvenile fish). With the right science and the political and financial will, seagrass meadows can thrive and contribute to ensuring our planet stays within its sustainable boundaries. The authors of the study point to their research and conservation work in the Coral Triangle as an example of hope. In Indonesia where they've documented large scale seagrass loss, they have importantly also led the development of a range of seagrass conservation initiatives that are beginning to raise hope for the sustainability of these amazingly productive habitats. "By developing long-term collaborations with community NGO's we've been able to understand the problems facing these ecosystems from a more holistic stand point and develop bespoke locally based solutions. "In the Wakatobi National Park in Indonesia we've facilitated the restoration of small river catchments with trees through the creation of an incentive scheme. Farmers in the Wakatobi are now growing fruit trees to protect the seagrass and coral reefs." Seagrass meadows aren't charismatic habitats, so selling their conservation value remains difficult, however the research they describe in the recent Science article illustrates that the world needs to place a much greater level of importance on the conservation of seagrass.